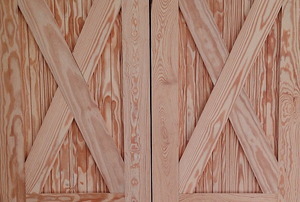 This is an easy project to complete in a weekend. Have an ugly, old, or outdated bathroom vanity? Don't waste money on a new one, transform it with paint instead! Read Part 1 of our series on building a recessed medicine cabinet. Read this article for advice on designing bathroom corner cabinets. 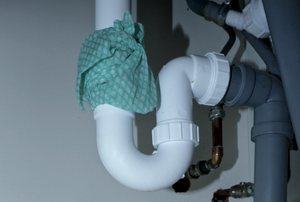 Follow these steps to repair water damage in your under sink cabinet. Save a little money replacing just your broken mirror instead of the whole bathroom cabinet with these steps. Follow these steps to install a surface mount medicine cabinet. Follow these steps to sand cabinets in preparation for painting. Follow these steps to replace medicine cabinet shelves. 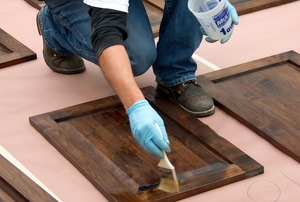 Follow these steps to replace sliding glass medicine cabinet doors. Read this important advice on installing a recessed medicine cabinet. Follow these steps to remove a sliding medicine cabinet door and add a hinged door. Read this information on framed versus unframed mirror medicine cabinets. 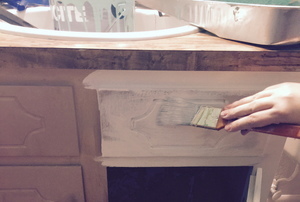 Follow these steps to refinish a framed medicine cabinet. 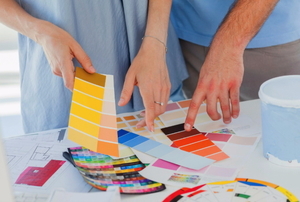 Read this article for important advice on designing a bathroom cabinet. 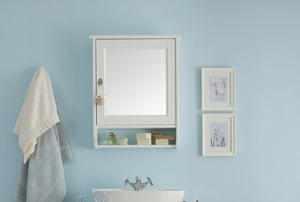 Follow these steps to convert an old medicine cabinet into a mirrored medicine cabinet. Follow these steps to install sliding glass doors on your glass medicine cabinet. 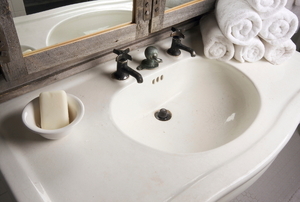 Follow these steps to finish your unvarnished bathroom cabinets. Read Part 3 of our series on building a recessed medicine cabinet. 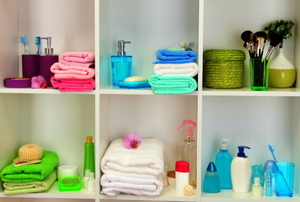 Read this article for advice on choosing a medicine cabinet for your bathroom. Follow these steps to repaint an under sink cabinet. Read Part 2 of our series on installing a surface mounted medicine cabinet. 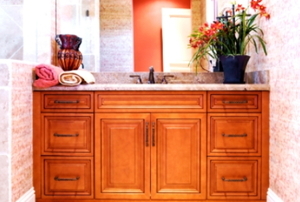 Read this advice on staining bathroom cabinets. 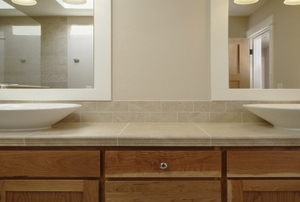 Follow these steps to install mirrors on bathroom cabinets doors. Follow these steps to protect your family from accidental poisoning with a medicine cabinet lock. 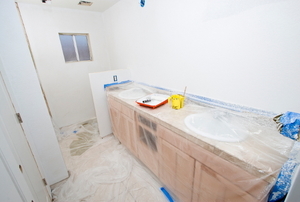 Follow these steps to paint unfinished bathroom cabinets. Read this article for advice on bathroom storage cabinets. Save space and create storage when you follow these steps to install a corner medicine cabinet. Read this article to understand the scenarios in which a lockable medicine cabinet is necessary. 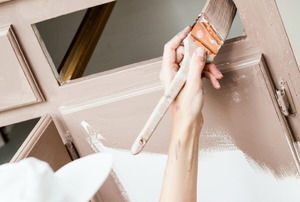 Read this article for advice on how to safely remove a recessed medicine cabinet. Read this article for advice on choosing a medicine cabinet. Follow these steps to refinish your under-the-sink cabinet. Follow these steps to reface an under-the-sink cabinet. 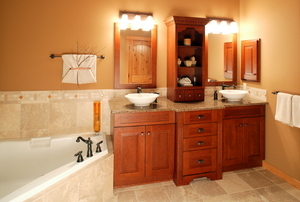 Read this article about the benefits of replacing or refacing your bathroom cabinets. Read this this second installment in our series on recessed bathroom cabinets. Follow these steps to install a recessed medicine cabinet.